If you're attempting to do a gift exchange based on every verse, you know that some verses are easier than others. For instance, what exactly is piping? How does leaping correspond with a gift? We've brainstormed a ton of 12 Days of Christmas gifts for the entire family and neighborhood. They range in cost, time commitment, and complexity. The point of the exchange is to have fun with it, so don't worry about taking every idea literally. Let these ideas serve as a starting point and get creative. Many gift ideas for "The 12 Days of Christmas" can be food-related. Keeping your gift exchange within the realm of food will work well for a broad audience like coworkers, neighbors, or family friends. For the first verse, bake anything that has pear as an ingredient, like this easy and fresh pear cobbler recipe. Wrap your baked goods up in some holiday-themed disposable containers and add some festive bows. Don't worry if you only take one word from the verse and run with it for your gift. In this case, a platter of turtle candy would be a welcomed treat for any audience. 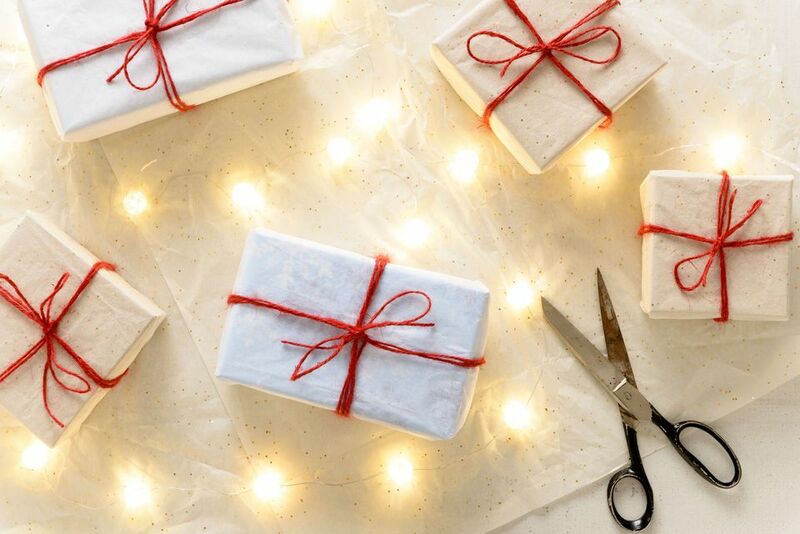 Wrap the platter in cellophane and add a gift tag with the verse. In the middle of winter, who wouldn't love receiving some warm chicken noodle soup? You don't even need to make the soup from scratch. Another option would be to add most of the dried ingredients for chicken soup inside a glass container. Tie on the recipe with a piece of ribbon. You could opt for a gift with birds, or you could choose a gift that is geared toward giving and receiving messages. One practical gift idea is a customized phone case. Purchase an inexpensive phone case and decorate it in a way the gift recipient would appreciate. Get the how-to here. Unless you are doing this gift exchange with a spouse, we doubt you'll want to purchase gold rings. If you are exchanging with someone who loves to host, opt for some gold napkin rings. You can purchase these or make them yourself depending on your preference. Almost Makes Perfect has an easy DIY tutorial to try. In most cases, chocolate eggs are an Easter tradition, and it might be hard to find them in the store. However, you can make your own chocolate eggs for the occasion and use these as your gift for day six. Swans are beautiful and peaceful. Be inspired by that and opt to put together a luxurious spa gift basket for your recipient, like this one from Design Love Fest. Make sure you include a card with a picture of a swan and the verse so the day is clear. This 12 Days of Christmas gift idea is another one you can make yourself for little investment. If you're making one jar of milk bath, you may as well make a half dozen or so for other people on your Christmas list. Try a Chamomille Lavender Oatmeal Milk Bath from Shaken Together Life. If you have the budget, opt to get a smart speaker that will play dance music. If you're on a budget, consider making a dance playlist that you can share. Most streaming services will give you a link to share the playlist, so print the link off on a festive holiday card. When thinking about a gift for the tenth day, think of anything relating to lords, crowns, and royalty. This origami box is an easy and inexpensive way to give a gift. Fill it with small chocolate coins wrapped in gold foil. Piping has to do with playing the flute, but it also sounds a lot like piping a cake. This gift set is a clever way to use the word by supplying everything the person would need to decorate cookies. Go the extra step and include this fun printable from C.R.A.F.T. A tea set with a card saying "piping hot tea"
If this gift exchange involves a child, an easy option for this verse is a toy drum. If no child is involved, anything with a representation of a drum on it would work, like a piece of art or a card.